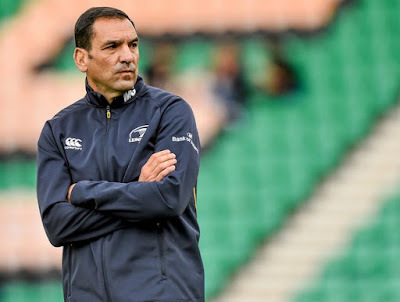 Leinster Rugby have today announced that scrum coach Marco Caputo has left the province with immediate effect. Caputo informed Leinster Rugby's Professional Game Board of his decision to leave Leinster in a meeting earlier this week. Speaking about his decision, Caputo said: "Over the last few weeks, I took the time to seek out the opinions and thoughts of various people both inside and outside the Leinster Rugby environment about my future. I believe that my decision will give the new coaching and management staff the best chance of a fresh start for the new season. "I would like to thank the players and backroom staff at Leinster for their efforts and the supporters for following us through all of last season's highs and lows. I have enjoyed the experience immensely and I have loved my short but very eventful 12 months in Ireland and being part of the Leinster environment." Leinster CEO, Mick Dawson, said: "We understand Marco's reasoning and appreciate that the decision was not an easy one to make. "We would like to thank him for his time with us and the part he played in bringing the team to a European Champions Cup semi-final last season. We wish him and his family every success for the future." Dawson also gave an update with regard to the pre-season schedule for Leinster and on the search for a new Head Coach. "The players and coaching staff finished last week and are now on a break for a few weeks. They are due back on the 1st of July for pre-season training. "As outlined previously, Leo Cullen is in place as Head Coach and both he and Head of Fitness Dan Tobin will oversee the pre-season regime with the Leinster players not involved with Ireland. "The search for a Head Coach is ongoing but we are in no immediate rush either. The most important thing is to get the best man for the job."